Who’d be a PE teacher?! I’ve recently produced our PE, Health and School Sports event, so I thought I’d share the research that goes on behind the scenes and some of the key challenges PE teachers and coordinators are facing right now. As an added bonus, none of my friends have quite grasped what a full-time conference producer actually does, so I’m hoping this may enlighten them (wishful thinking? Probably). Before producing any event we conduct extensive research with current practitioners. You’re the ones on the front line, facing new challenges each day. It’s you we’re trying to support at these conferences and therefore, it’s you we want to hear from during the research stages. I spoke to over 25 practitioners, including a range of PE related job titles, from a variety of different school types, located in numerous regions up and down the country. Hopefully, this has provided a broad spectrum of viewpoints from very distinct settings which should give us a balanced picture of today’s landscape. With an enormously high percentage, it’s clear that PE engagement across the board is still a major challenge. Back when I was a lad, I couldn’t think of anything better than a good PE lesson. OK, I suppose standing in the corner of a field in the middle of winter, waiting to get your frost-bitten fingers on a rugby ball, only to find yourself immediately face down in the mud as someone runs over the top of you, isn’t everyone’s cup of tea, but still… I preferred it to maths! However, what’s clear from the research is that I am not the norm (I don’t think I ever was) and that it can still be a real challenge to coax people off their seat, into some PE kit, and to persuade them that a set of 10 star jumps, a quick jog around the field and an intense bout of rounders is exactly what they want to be doing on a cold Tuesday morning in January. It's ideas from peers that are the most valuable. Conferences are great at providing that opportunity to grow your professional network, share stories, ideas and strategies, and leave with that uplifting feeling that you’re all in the same boat. This one’s not exactly a shocker. With child obesity levels on the rise and a recent stat from Persil suggesting that prisoners spend more time outside than today's children, both the government and school leaders are turning more and more to their trusty PE coordinators to help find a solution. It all comes back to engagement. 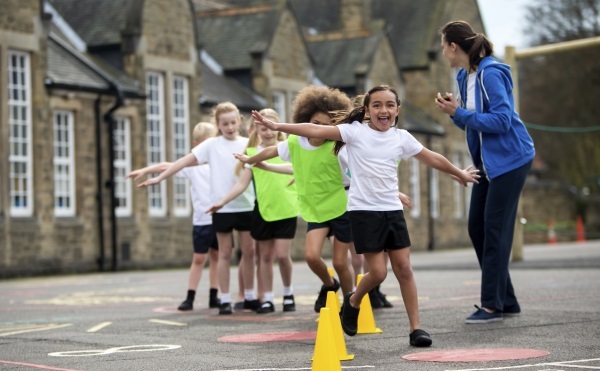 The more you can motivate pupils and persuade them that exercise is not a form of punishment but an invigorating, endorphin releasing experience, the healthier they are likely to become. Assessment came out, predictably I suppose, as a challenge facing secondary PE teachers slightly more than their primary colleagues, especially when marking was mentioned alongside it. It’s a major challenge facing a lot of teachers these days and certainly not just in PE. Life without levels has resulted in a positive change for many but it has left a lot of schools unsure on the best way forward. In PE, measuring progress has often posed its own significant challenge. This was a question raised on multiple occasions during the research and it’s one we’ve ensured we provide answers to on the day. Finding a balance is crucial; many teachers I spoke to were, perhaps rightly, more concerned with getting children outside, physically active and changing mindsets, rather than strictly monitoring their progress. However, for PE to be considered as a whole school priority by senior leaders, being able to demonstrate its wider benefits as a subject and the progress students are making is essential. I’ll let you be the judge, but if you’re struggling with assessment in PE, you’re not alone! There were, of course, a multitude of other challenges raised during the research for this event including the new GCSE syllabus, time management, building resilience and curriculum diversity. I didn’t think 47 pie charts would make for a particularly interesting post so I’ve just shared the top issues this time. Hopefully, it has helped to dispel the occasional belief that ‘PE teachers have it easy’ - as with any educational career, it comes with a unique set of difficulties to overcome but as a result, can be an incredibly rewarding journey. Finally, I’d like to take this opportunity to extend a heartfelt thank you to the generous souls who helped me with the research for this conference and every other we produce as a team. It genuinely helped shape the programme and I’m confident we can address many of these challenges at the event in November. Do look out for an email from me one day; our conferences are informed by your expert opinions so without you they quite simply would not happen!